Supporting artists is very important to all of the Mila Family. 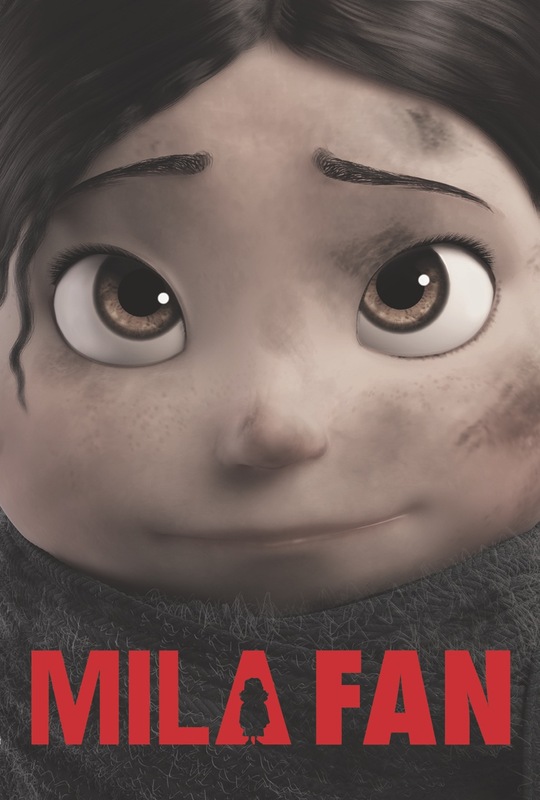 Not only the amazing artists around the world that are working hard to bring Mila to the big screen but we also want to support other filmmakers who are doing their thing and doing it well! Today, we’re proud to share with you an exclusive interview with Carlos Baena, – Director/Writer of short film, La Noria, has worked at studios such as ILM, Paramount Pictures & Pixar Animation Studios and is co-founder of Animation Mentor, the Online Animation School. CB: Part of it was I always wanted to be involved in film or art. I never had the means to do that back in Spain. So I moved from Spain to the US in ’94 to study art. As I was doing that I learned about these places that were working on the Jurassic Park film, the Abyss, and Toy Story. As I learned more about it I decided to focused my career only on film/animation. CB: There have been many inspirations throughout my career. Depends on which stage. As I was getting more into animation, the Nine Old Men were a big inspiration and they still are in terms of acting, craftsmanship, etc. Pixar has always been a big inspiration whether I was working there as well as before and after. They have pushed the envelope in the animation industry so many times through so many amazing filmmakers and movies that I always go back to think about how they drastically changed our medium. I’d say, every time I watch something that makes me want to go back and re-watch is something I get inspired about…and that applies to many films and filmmakers. I must of watched specific films in my life so many times. – What is your role in the animation industry. CB: I started as an animator in this industry. Over the years, I feel like my choices have always been inspired in hopes to push whatever it is I was doing. As I was animating at ILM and Pixar, I was trying hard to push whatever material I was given. When I went to work at Paramount to develop films, I tried the same thing. In my personal work and as I learn more about directing, that’s also been my goal. Additionally, in whatever capability I’ve tried to share my process, what I’m learning, where I’m failing, etc. If I was a student I’d want people to share those. – What are you working on or what you last worked on? CB: I currently just completed a personal live-action shortfilm, and I’m on the last stretch of finishing an animated shortfilm. Both films with the tremendous help of many people and colleages. We are hoping to finish by Spring2016. Also once a week I do consulting at a San Francisco studio called ANKI. CB: To not talk about what I’ll do. But to instead, do it. Let the work itself do the talking. Also, we are on a medium that’s very easy to judge…so to work out ways to change it constructively, instead of pointing what’s not working. 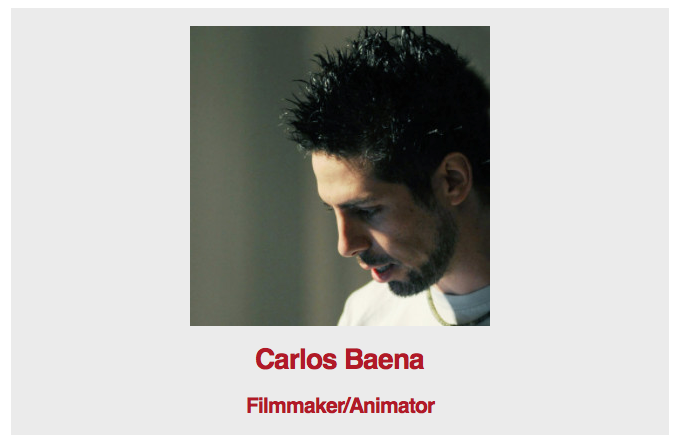 To learn more about Carlos Baena, check out his website HERE! Wanna back his current project, La Noria? Go HERE and be part of the movie making process!